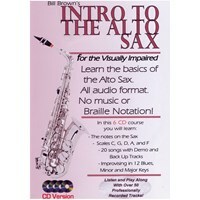 Basic Soprano & Tenor Ukulele in CD Format! 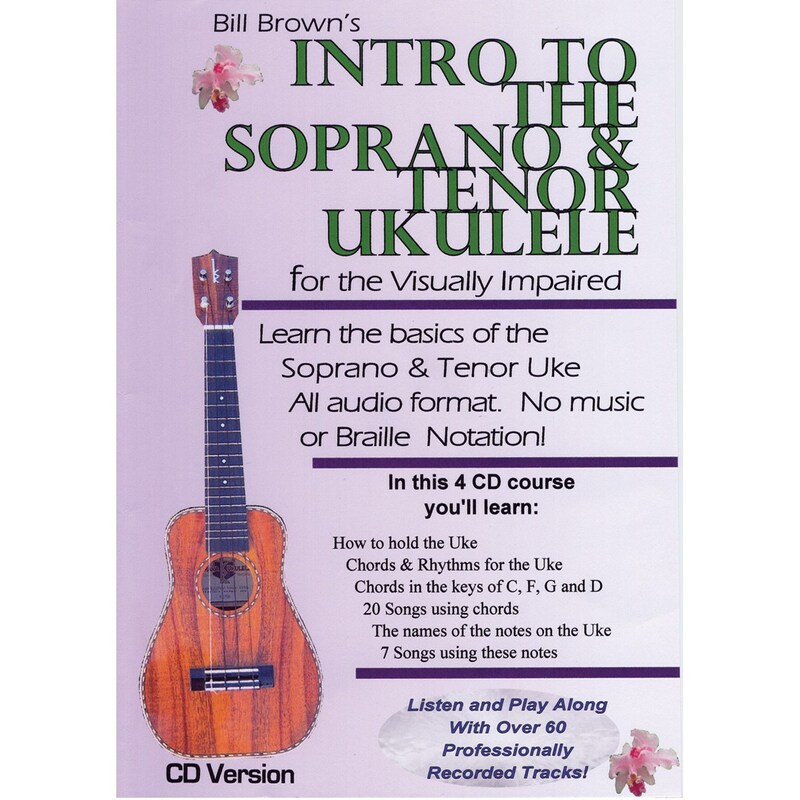 This 4-CD course talks the blind or low vision student through holding the Ukulele, part names, tuning, chord and rhythm playing, as well as notes, and melody playing. The course is also loaded with backup tracks to listen to and play along with.